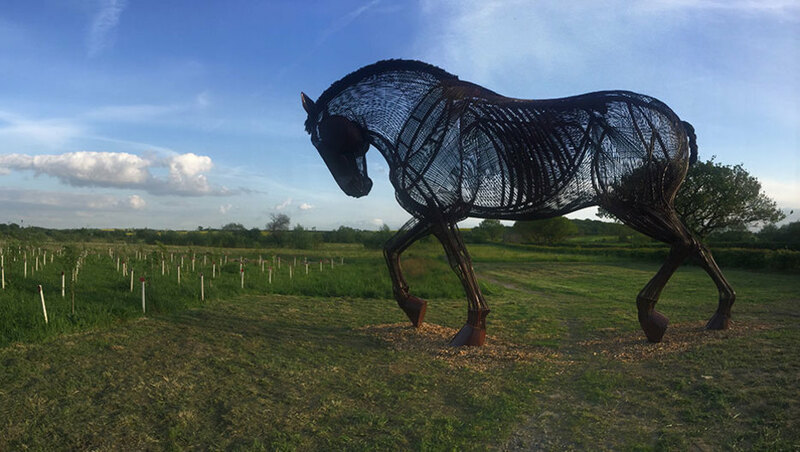 ‘War Horse - A Place of Peace to be Together’ is a stunning World War I war memorial, created by Cod Steaks for Featherstone Town Council and WREN. 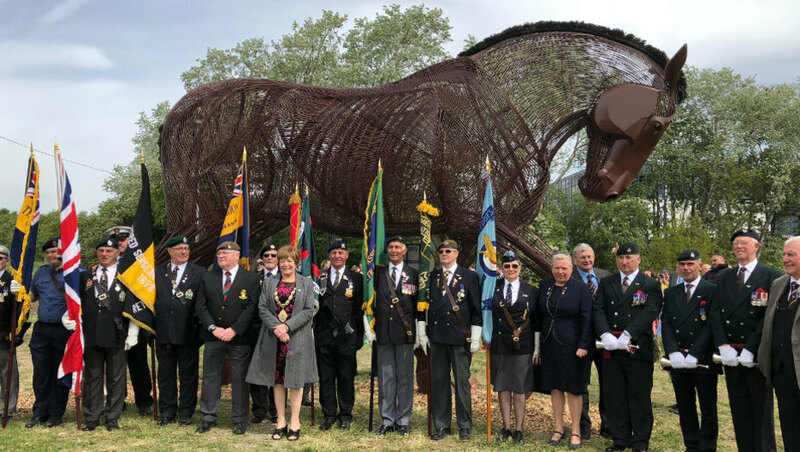 To coincide with the centenary of the end of the First World War, the sculpture commemorates the 353 soldiers from the West Yorkshire town that were killed. 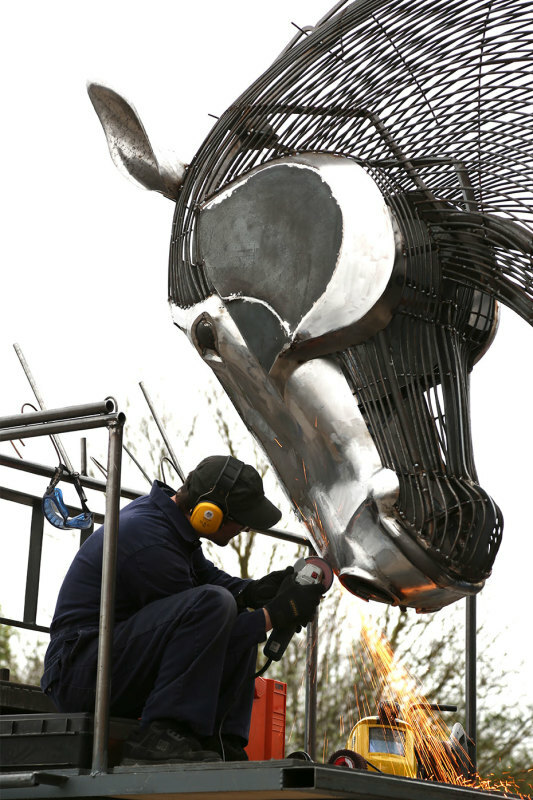 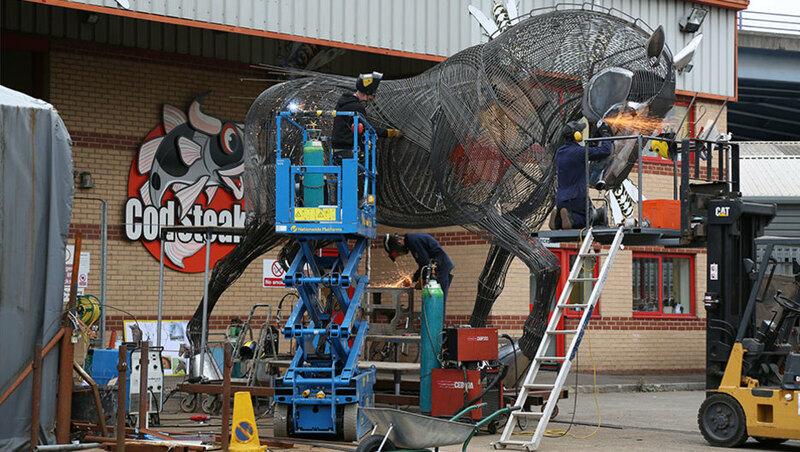 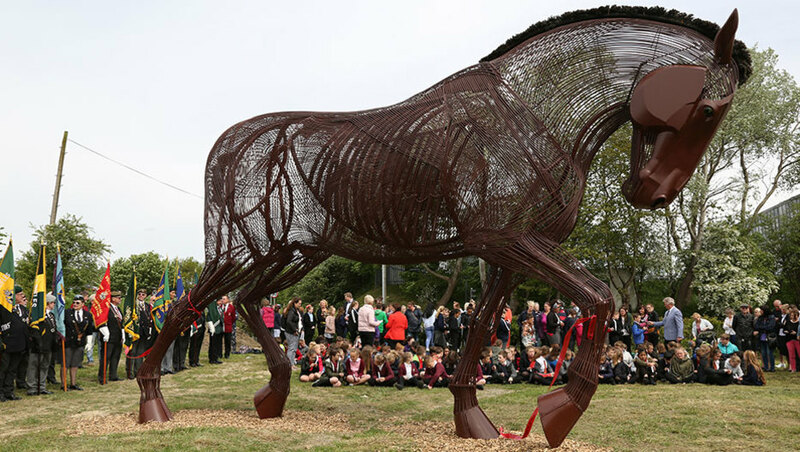 War Horse is 5 meters tall and is constructed with 2 ½ kilometres of steel. 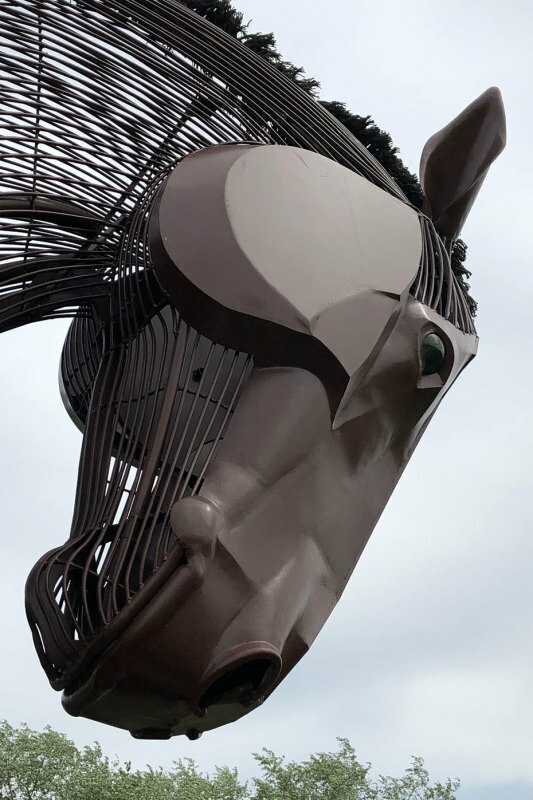 Under key sculptor Paul Drake’s expertise the sculpture has been hand crafted and beautifully worked to encompass the muscular structure, elegance and endurance of a working Yorkshire horse. 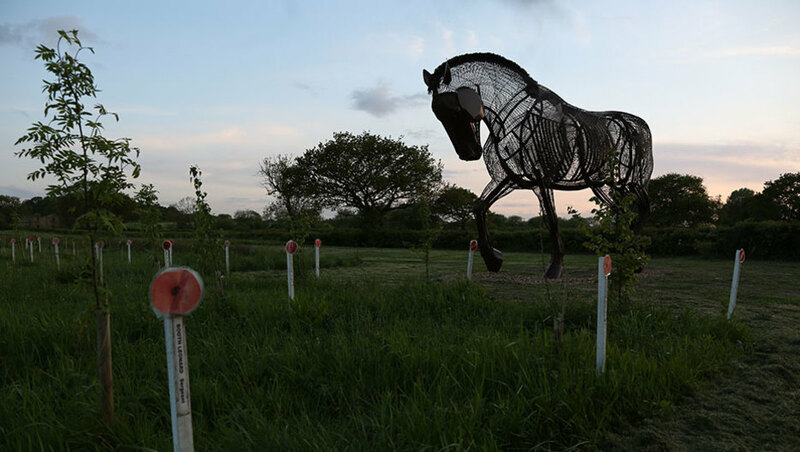 Sited in the Mill Pond Meadows nature reserve, War Horse stands proudly looking towards trees that have been planted by school children to commemorate those who gave their lives for their country.